Want to draw attention to your graphics? 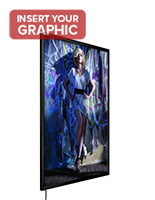 Use our 18x24 LED light boxes to feature advertisements with an appealing glow. Each frame uses light emitting diode technology for energy efficient and maintenance free illumination. What does this mean for you? Our 18x24 LED light boxes will last a long time, cost you little on your electric bill, and keep your advertising campaign bright and noticeable. This style of display is ideal for grabbing attention in any setting. 18x24 LED light boxes are often used by malls, retail stores, restaurants and event venues to make their promotional graphics stand out. 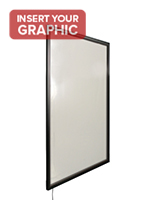 Browse our illuminated frames for the model that meets your business's needs. 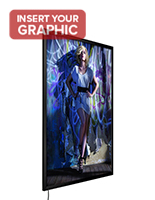 What makes these 18x24 LED light boxes so great for featuring ads? Our frames create an even illumination using an edge lit design. 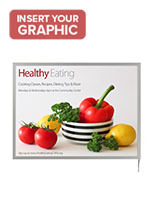 No need to worry about hot and cold spots, each graphic has a professional presentation. While energy efficient, these LED light boxes have a 2000 to 3000+ lux rating — about six times brighter than standard office lighting. 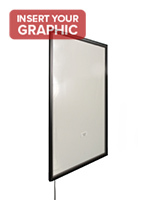 This is makes your translucent poster easy to see in any environment. 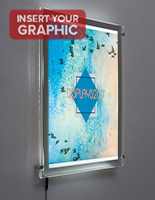 We offer LED light boxes in a variety of shapes and styles. 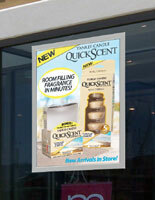 Wall mounts are the most popular and are great for your brand's visibility. 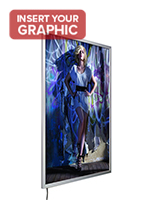 Our snap-open frames feature a convenient design that makes changing graphics quick and hassle free. Simply roll back the edges and replace your print without taking anything down from the wall. This is an excellent option for businesses that rotate their signage often like clothing retailers and real estate agencies. 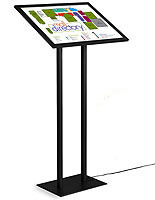 Our illuminated graphic floor stands with both double sided and angled designs are also available. Looking to add additional advertising? We also sell window hanging fixtures that are excellent for store windows. Passersby will notice these backlit images from both the sidewalk and the street. Why use LED based illuminated signage over other bulbs? Light emitting diodes don't waste as much energy creating heat compared to fluorescent and incandescent lighting. While it makes them more efficient, it also illuminates posters in a cooler environment. This ensures that prints will last a long time without warping or distorting. 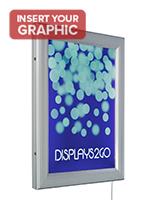 Order on Displays2go.com for quick shipping and wholesale pricing on these modern advertising lighting solutions.